At Northeast Energy Systems, we have a multitude of options available for industrial customers that are seeking to reduce energy costs and lower their carbon footprint. The manufacturing of custom wire products requires an extensive amount of energy both in the form of electricity and heat. 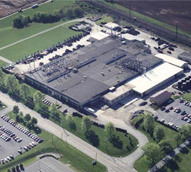 Mount Joy Wire is a manufacturer that produces numerous specialty wire products that are used throughout the automotive, aerospace, construction, agricultural, and marine industries. The processes they use to produce these premium quality products are very energy intensive, and as such, energy costs comprise a large percentage of their operating costs. In such a competitive industry, continual efforts to reduce overhead and operating costs are essential to maintaining a healthy business. 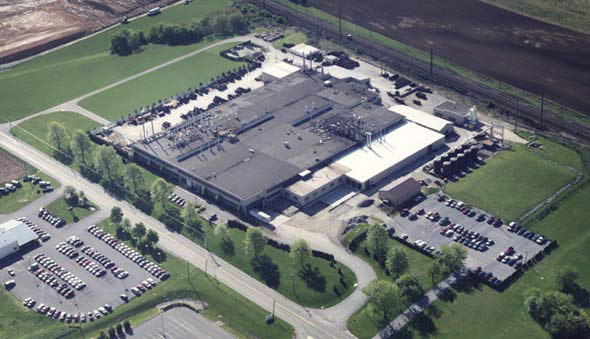 When Mount Joy Wire sought out to address their energy costs, they contacted our team at Northeast Energy Systems. After months of feasibility studies and in-depth research, the customer was awarded a 1.3 million dollar Green Energy Works grant made possible through the American Recovery and Reinvestment Act and the Pennsylvania Department of the Environmental Protection Agency. 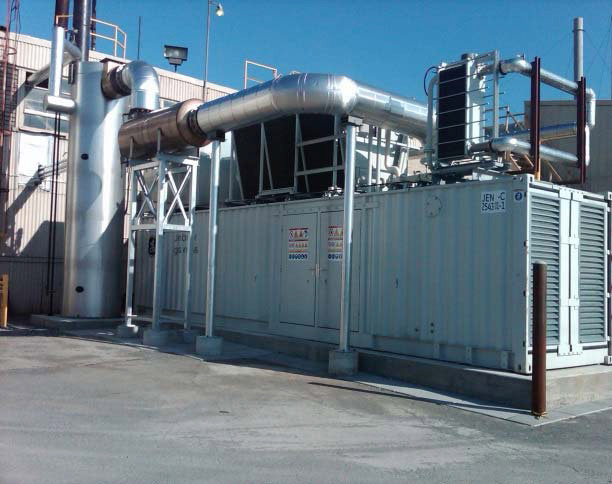 To meet construction goals, eliminate the need for an additional powerhouse facility, and minimize any interruption to the plant’s existing operations, a GE factory containerized unit was chosen for this project. 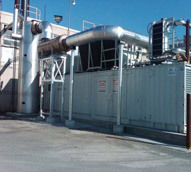 The benefits of the containerized unit include the fact that much of the package was pre-piped and pre-wired when it arrived at the facility, allowing for placement in close proximity to the existing boiler room. 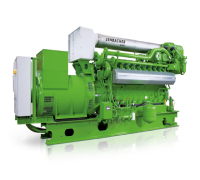 The GE Jenbacher combined heat and power system chosen for this project provides 1,059 kilowatts of electricity, 2,149 pounds of steam per hour, and 2,264,000 BTU of hot water per hour. By utilizing all of the waste heat from the exhaust stream, the system achieves an overall thermal operating efficiency of over 87%. This system was commissioned in 2011 and has been in continuous operation since that time. Continuous maintenance has contributed an overall system efficiency exceeding 95%, reducing the electricity required to run the plant by nearly half. 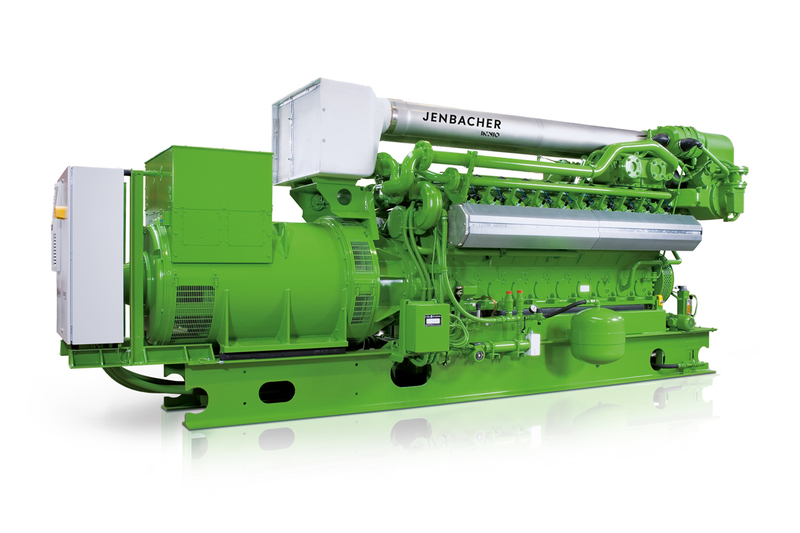 Since the first Jenbacher CHP system was built in 1957, more than 3,500 gas fueled GE Jenbacher cogeneration plants have been installed worldwide, providing a total electrical output of approximately 4,700 megawatts of power. This technology generates more than 28 million megawatts of electricity, plus more than 26 million megawatt-hours of heat, which is enough power to supply 2.6 million homes. This energy input equates to a potential savings of 29 million barrels of oil and 1.7 million tons of C02, or the equivalent greenhouse gas emission reduction of removing 860,000 passenger cars from the road. For additional details regarding this custom industrial cogeneration project featuring GE Jenbacher technology, see the table below, or contact us directly.